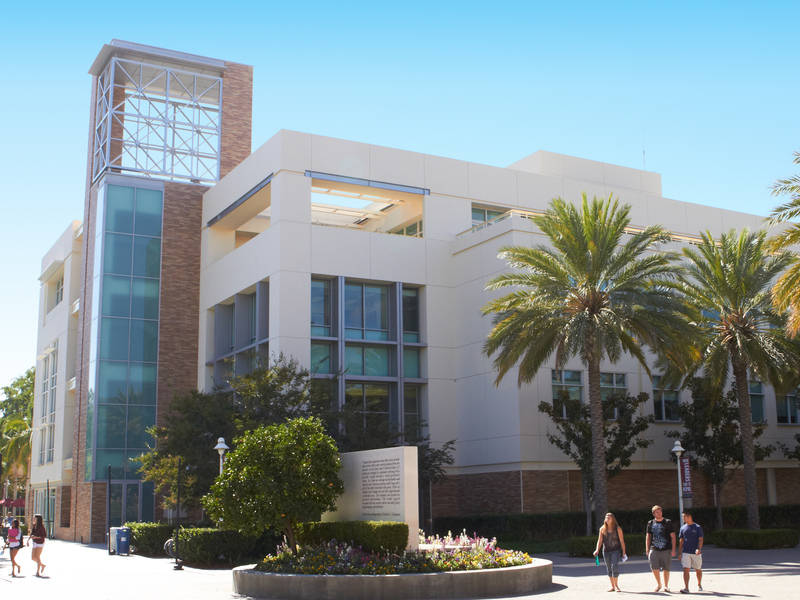 Chapman University’s full-time MBA program ranks among the best in the nation in the U.S. News & World Report’s 2019 rankings. The MBA program housed in the Argyros School of Business and Economics made a remarkable jump to #79 this year, up from its previous place at #98. Marked improvement was made in other categories, too. It was listed as #4 among private schools in California. Corporate recruiters ranked it 30th, its average GMAT ranked 58th. “Our great connections in the business community and increasingly influential faculty have been the keys for us. This combination has led to more talented and prepared graduates and great employment opportunities,” said Thomas Turk, Ph.D., dean of the Argyros School. “We are especially proud of our evaluations from the corporate recruiters. They validate the quality of our students and the value they add to the work environment,” Turk said. Established in 2005, Chapman’s full-time MBA program connects talented students with renowned faculty and influential business leaders in a personalized setting. The faculty, curriculum and programs equip professionals to think strategically, analyze carefully and act on entrepreneurial ideas.